From tomorrow, 18 August until Tuesday 24 August I will be in Dortmund Germany taking part in the Heavy Matter exhibition by the KHM Cologne for ISEA. I will perform on 19 August and 23 August, and you can find details of that performance below. At the turn of the 21st Century, new media has become a matter of course and the technology of electronic data processing is constantly being perfected. Just how immaterial is data really? Does it not carry a certain amount of weight, after all? 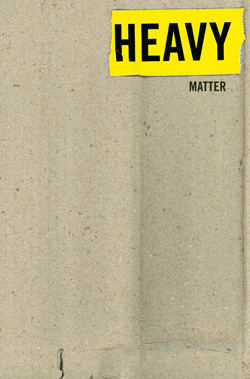 In the exhibition – developed by students and members of the teaching staff of the KHM – the immaterial is exposed as “Heavy Matter”. Heavy does matter: objectively, physically and financially. Matter appears as an autonomous (disruptive) factor between transmitter and receiver. An evening-long concert drawing on the underworld mythology of heavy metal and noise music for an audience of one, taking place in the narrow confines of an elevator car filled with an overpowering, physical mass of sound pressure. More info on this performance here. This entry was posted	on Tuesday, August 17th, 2010 at 12:42	and is filed under Announcement. You can follow any responses to this entry through the RSS 2.0 feed. Both comments and pings are currently closed. Powered by WordPress v 5.0.2. Page in 0.423 seconds.